Inclusive Minds was founded by Beth Cox and Alexandra Strick as a collective to bring together all those passionate and knowledgable about ensuring that children’s books are truly inclusive and accessible. Our goal is to support everyone in the children’s book world, particularly publishers, authors and illustrators, to make their books more authentically inclusive. We do this through consultancy, training, events, public speaking, and general awareness-raising. We’re also building a team of young ambassadors, people with direct experience of different facets of diversity, who can liaise with publishers, authors and illustrators to help them make their characters authentic. What one thing can publishers do to improve inclusiveness in their books? I think the key thing is to think beyond the default. It’s not that people necessarily intend to exclude children from books, but they are just not thinking hard enough about including them. Publishers can sign our Everybody In Charter (everybodyin.co.uk) and choose practical actions to help them become more inclusive, as well as get some great ideas for how these actions can be achieved on the advice pages. Are there any common mistakes that publishers make? One of the main issues we come across is lack of research. Assuming rather than researching at best leads to small errors that really stand out, and at worst leads to portrayals that can be offensive. There are so many ways that research can be done, and consulting Inclusive Minds is just one of those. We are often sent books to review AFTER publication and it’s frustrating to see small errors that could have easily been avoided before publication. Making our FIRST RECORD books work for (nearly!) all families and children was a complicated task. Can you tell us a little about it? We were delighted to be asked to work on the FIRST RECORD books for b small. 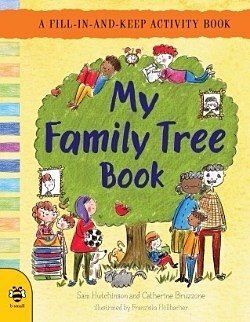 From our experience, family tree books tend to be based on a (perhaps rather outdated) perception of a ’typical’ family. This means they can be problematic for the many children whose situation does not fit that perceived ’norm’. Neither of us have conventional families ourselves, so we’re very aware of how frustrating it is for children to feel that something is missing with these types of books. The 'traditional’ two-parent family with 2.4 children is of course far less common now. We needed to keep in mind that there are actually 35 different types of family set-up in the UK. So we worked with b small to identify as many ways as possible to include different family sizes and structures, as well as parents of different ages and sexes and a diverse range of homes and settings. The b small team was wonderfully receptive to our suggestions and together we also ensured that the images were authentically inclusive where things like ethnicity and disability were concerned. 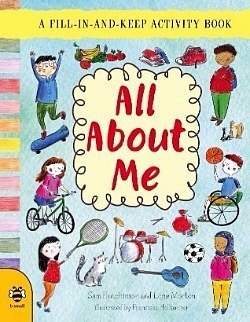 We are delighted that the result is a new type of book that almost any child would find relevant. Simple questions encourage children to think about themselves, their family, friends and their life. From favourite hobbies to dreams for the future, children will enjoy taking a written snapshot of their life that they can look back on in the future. A perfect fill-in-and-keep first record to celebrate the everyday things about every child. Flash: An inclusive book for all children! All families are unique! 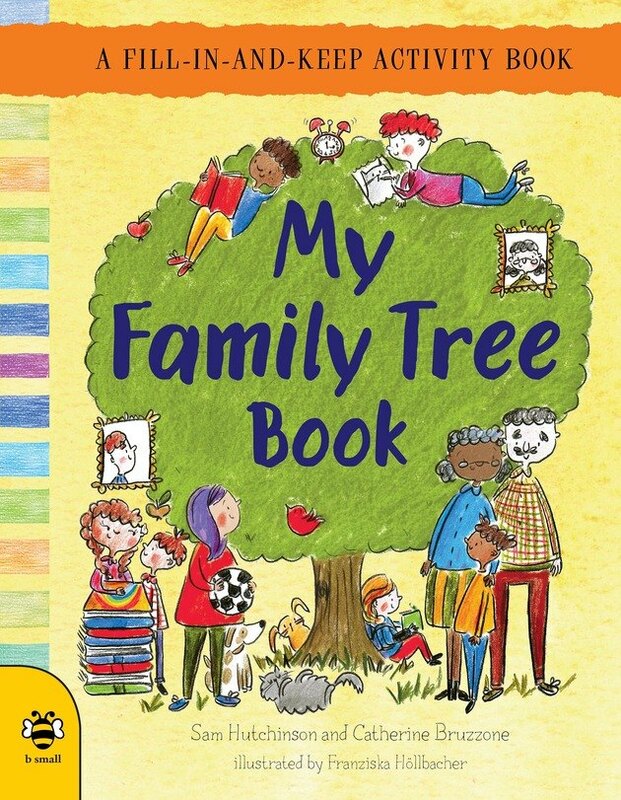 The simple questions on the pages of this book encourage children to discover the personal connections that make their family their own. Mindful of our differences, these activities are designed to include every child. A perfect fill-in-and-keep first record to celebrate all families. Flash: An inclusive book for all families!